Just came in. Like new!!!!! 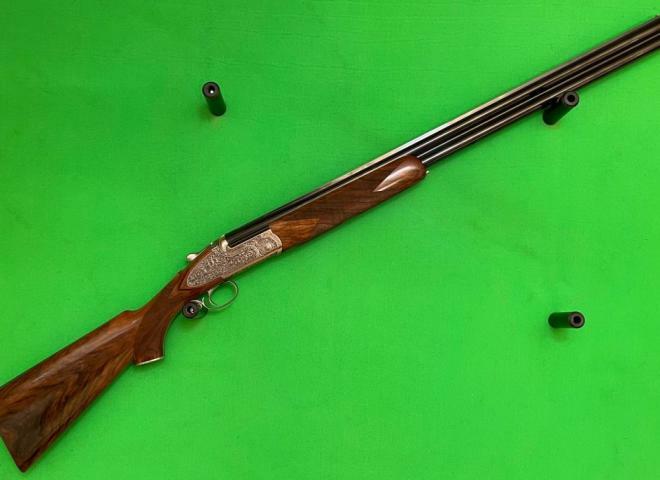 Second hand Caesar Guerini Ellipse Curve 20 bore. 30" Barrels with multi chokes. 3" chambers. Single trigger with selector. Ejectors. 12 bore . 30" barrels with multi chokes. Ventilated top and side ribs. Fully engraved with game scenes. Pistol grip with palm swell for better comfort. Slim forend fully chequered. Invictus 7 Sporter . 12 bore . 2 3/4 chambers . 32" barrels with ventilated side and top ribs . Multi chokes . Supplied with flush and extended chokes.